Nathan Copeland, a 28 year old man from Pennsylvania, has managed to regain his sense of touch after being left paralyzed in 2004 from the chest down. Ten years later, Nathan was asked to participate in a trial for the brain computer interface (BCI) - a device consisting of electrodes connected to a robotic arm that stimulate nerve cells, or neurons, to enable the sensation of touch. In the journal Science Translational Medicine, researchers reveal how the technology successfully restored sensation to Nathan's fingers, allowing him to "feel" for the first time in 10 years. 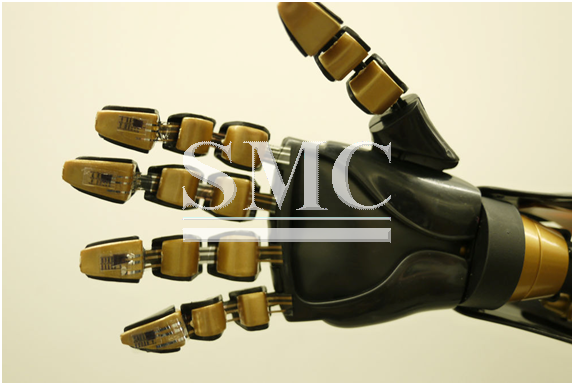 This test is not the first in history to record a success of mind controlled robotic limbs, however, it is believed to be the first in history to allow a ‘natural sense of touch’, with a brain implant and prosthetic limb. The authors of the journal express the importance of ‘touch’ saying it is often overlooked, we use our sense of touch to distinguish between objects and gauge how to move them or pick them up. These electrodes are connected to a robotic arm, and with the help of electrical stimulation, the user is able to control the arm with their mind. In Nathan's case, the device enabled him to feel pressure and warmth on four fingers of the robotic arm, and he described 93 percent of the stimuli as feeling "possibly natural." Additionally, when blindfolded, Nathan was able to correctly identify which finger was being touched with 84 percent accuracy, and all sensations persisted over the 6-month study period. These tests have proved to be a great success and will no doubt provide unrivaled assistance in future research into the use of prosthetic limbs, however, the authors of the journal state that this is just the beginning and an abundance of research is still needed.